COLUMBIA -- John Jones' approach to this weekend's SCHSL State Championships won't be any different from his 38 previous state meets. The Spring Valley High head track and field coach will push each student/athlete to give their best effort, and his team likely will finish at or near the top once again. What will be different about this Saturday, not only for Jones, but also for those who have been close to the sport stretching back nearly four decades, is what happens at the end of the day, after the final awards are handed out and the 2018 high school track season officially ends. Earlier this season, Jones announced that this would be his final year as head track and cross-country coach at Spring Valley. Saturday's meet will be his last as a head coach. "I probably will start thinking about all this when I start putting equipment away after the meet," Jones recently told scrunners.com. Until then, however, Jones' focus will be on winning, for his team and his athletes. "I hate to lose; always have and always will," Jones said. "We are trying to win a state championship, and that is all that matters. It is not about me. These athletes this year deserve my best." Channing Tindal is one of those athletes. The Spring Valley senior will compete this weekend for the final time at Harry Parone Stadium, which again is hosting the state championships. Tindal qualified for state in the shot and discus. Tindal said Jones pushed him early on to compete as a thrower. "I was straight football," he said. "That was all I did, but he kept pushing me to throw." Tindall would set a freshman school record in the shot put. He also credits techniques learned in throwing for improving his performance as a linebacker on the Spring Valley football team. "He has done so many great things for me and for the Spring Valley community," Tindall said. "I can't thank him enough." Jones graduated from West Point in 1973. He was stationed at Fort Jackson the following year, but left the Army in 1978 to return to college and become a PE teacher and coach. "I fell in love with Columbia and decided to go to USC," Jones said. His first teaching assignment was at Spring Valley in late 1979. The school needed a new cross-country and track coach. 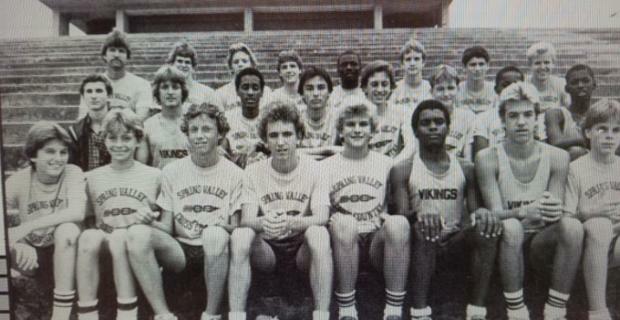 Jones took over the track program in the spring of 1980. He was hired, full time, for the 1980-81 school year. Jones ran track in middle school in Louisiana, then in high school in North Carolina. He walked on at West Point, competing all four years there. "I have always loved the sport of track and field. At one point or another I have done every event," Jones said. Still, that experience didn't fully prepare him coaching. "I realized how little I really knew," he said. "Doing and coaching are really different." Jones credits others for helping him and longtime assistant coach Rick Crumpler grow into the job. "I have taken help from anyone and everyone who will to help," Jones said, including the late Bob Jenkins. 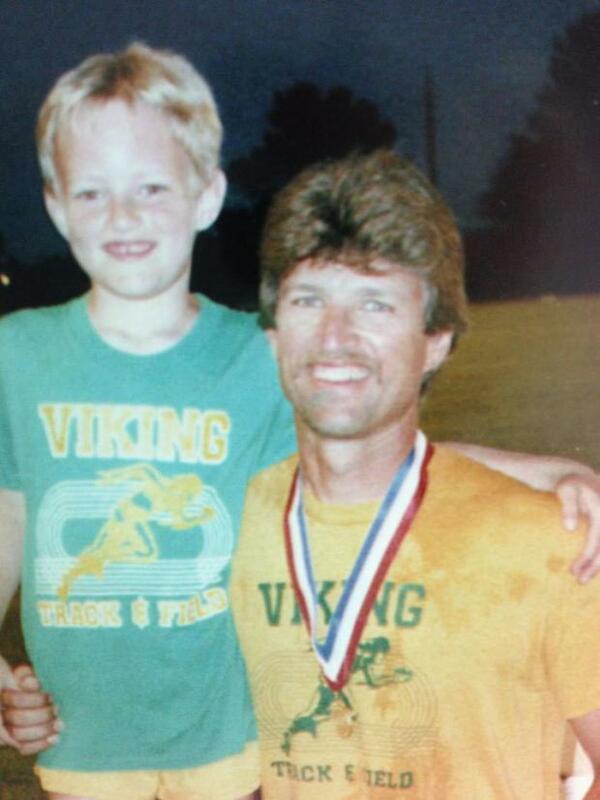 "He was "a major mentor in my early years," he said, as was (and still is), Jim Kilbreth in cross country. Jones also worked to improve as a coach, becoming the first high school coach in the country to reach USATF Coaching Education Level 2 certification. "I attended every clinic I could all over the country," he said. "Whenever I saw excellence, I would investigate what was going on there." Jones has been recognized over the years for the time and effort he has devoted to the sport, both in South Carolina and nationally, including NFHS National Track Coach of the Year in 2013; NHSTCA National Track Coach of the Year in 2015; SCTCCCA Hall of Fame in 2005; and the South Carolina Athletic Coaches Association Hall of Fame in 2007. Jones also started the Bojangles' Track and Field Classic (formerly Taco Bell) building it into a premier, regional high school event, and one he said he plans to remain involved in once he retires from full-time coaching. Still, it's his impact on the state championships that bring Jones the most satisfaction. In 1980, the cross-country and track and field state meets "looked like bad invitationals do today," Jones said. 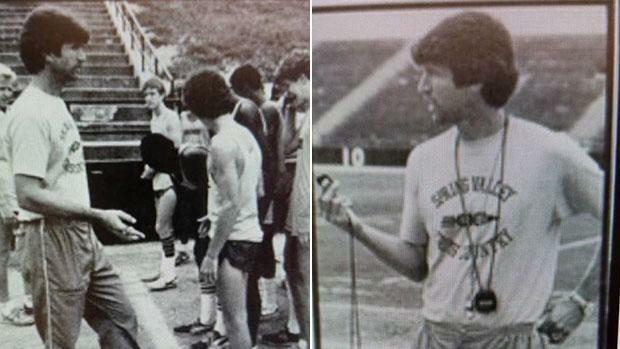 The meets were held at USC back then and the school didn't share much equipment needed for the meets, he said. "(Assistant coach Rick Crumpler) and I borrowed a large truck and every year hauled our equipment to USC to make the meet look better," Jones said. The two coaches built distance markers for the throws out of plywood. They built an awards stand, rented tents, put up flags and "insisted the results of each event be announced," he said. "No pay and little thanks, but we knew it was the right thing to do," Jones said. Much of that prep work paid off, however, when the meets were ultimately moved to their current venues. "We were able to really put on a show," Jones said. Kevin Shaw, who coached with Jones at Spring Valley from 1992 to 2007, said Jones' primary focus has always been on what's best for South Carolina. "One of John's premises from day one was he wanted to give the kids of South Carolina the best possible experience, not just Spring Valley kids, but every kid in the state," Shaw said. "He's raised the level of track and field and cross-country for every team in the state." Though putting together quality meets and winning numerous championships has its rewards for Jones, coaching young men and women, and watching them develop both physically and as individuals has been worth more than what he has contributed to the sport. "Being called 'coach' is a special thing and everyone who wants to be called that should take it with great responsibility," he said. Tom Cronin, who with Jones' help, got his first teaching job 28 years ago, said Jones cares about the student/athletes he coaches. "He always looks for ways to make the sport more enjoyable, not only for the coaches, but also for the kids,' he said. Cronin, who was assistant coach under Jones for 11 years and now a PE teacher at Pleasant Hill Elementary in Lexington County, said he applies lessons he learned from Jones while the two were coaching together at Spring Valley. "He was a mentor. I bring to Pleasant Hill today what I learned from John 20 years ago at Spring Valley," Cronin said. "I try to model myself after what he has done. "He has a good way of giving you some freedom, while at the same time teaching you what you need to know. He's not overbearing on his coaches, but at the same time he makes sure his coaches are learning," Cronin said. 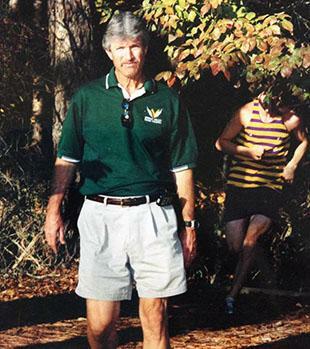 John Blackburn, who serves on the board of directors for the National Scholastic Athletics Foundation, which sponsors the New Balance Nationals, got to know Jones in mid-90s, when Jones started the Taco Bell Classic that would be (and under Bojangles') selected as a NSAF Select Meet. "It's always been admirable to me how John has been able to stay involved and maintain his level of enthusiasm throughout the past 26 years of Bojangles and all his years as a coach," Blackburn said. "He has a willingness to do it for the sport and for the kids." Jones doesn't plan to step completely away from the sport once he leaves Spring Valley. He's moving with his wife, Liz, to Pawley's Island where he hopes to land a volunteer assistant position with a local school. He also plans to keep his membership in the state coaches association and remain as meet director for the Bojangles' Track and Field Classic. Jones said Spring Valley has decided on a new head coach and will likely announce its decision the Monday after the state meet. That's when Jones will "turn my keys," he said, "either to the school or the new coach." After that, Jones said, his attention will turn to his grandchildren. "The grandkids will get the full show."